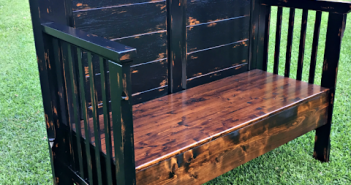 It’s been awhile since I have crowned a Dumpster Divin’ Diva so a few weeks ago I put a little shout out on my Facebook page looking for some new ideas! I learned that we have a lot in common. 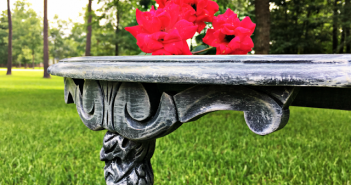 She has scored some great furniture pieces…for free! Of course who could resist with neighbors like hers throwing furniture out left and right! 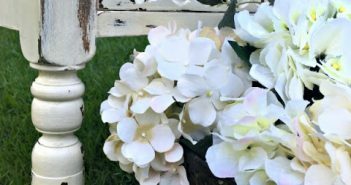 I LOVE some good Before and Afters and you are just going to have to trust me on this one and click on over to her blog to see the fabulous afters. First up is this old credenza that she found in her neighbor’s trash. I’ll just give you a hint that it looks SHOCKING in it’s new RED color! You know how much I love red! Hurry! Go take a look! Next up is her Refinished Country Table. Wow! What a difference a little elbow grease can make! Mom and Dad, please don’t get rid of your little table like this…hint, hint. Now check out this Small China Cabinet! I’ll be nice and show you the “After” too. Isn’t it great? She wasn’t even done with it yet! Now I cannot leave without showing you this project. I have been in love with these pillows since the first time I saw them! They are not in the Dumpster Divin’ Diva category but they sure are treasures! Love Note Pillows just in time for Valentine’s Day! I couldn’t resist showing you! Days of Chalk and Chocolate! 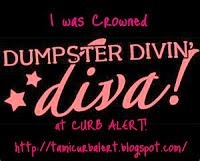 If YOU would like to be the NEXT Dumpster Divin’ Diva Crown winner please email me at mail.curbalert(at)yahoo.com. I would love to feature your projects, you don’t even have to be a blogger! Oh My Gosh these are awesome!!! And those pillows!! I want 'em! Tami, you rock! Thank you so much for featuring my projects! I am so flattered! I love your site and I am honored!